From there, I began crunching the numbers, gaining more insight into the funny business that was going on with attendance data. And as I progressed, I began crafting together a plan for the series. 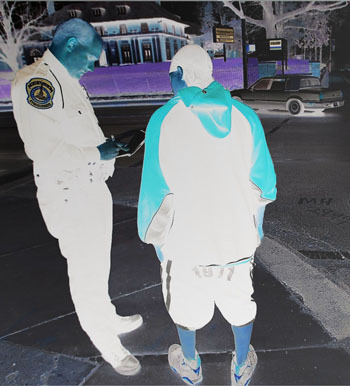 As part of this, the decision was made to go with an online package of audio clips in order to protect the identity of children charged in juvenile court with truancy. This resulted in a four-day series that made readers realize that when it came to school attendance, too many children were skipping days at a time, contributing to the dropout crisis affecting the state. It also captured national attention, notably from Chester Finn's Fordham Foundation, whose Educational Gadfly newsletter discussed the series. 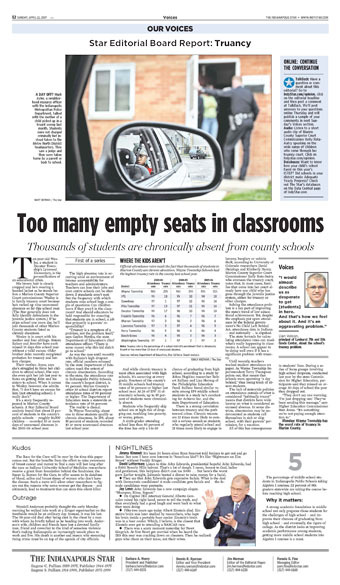 It is also an award-winner: Last month, the Hoosier State Press Association awarded the series first place in Division 6 of its Better Newspaper awards for this expose on chronic truancy.